Uzushio hot spring is formed with high quality groundwater from the stratum formed 8,000 years ago and located 1,000m below the earth surface. 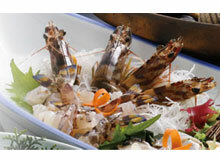 The water is exceptionally smooth, softening and washing off the oil and dirt trapped on skin as if you are using soap. 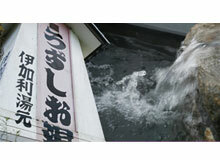 For such beautifying and health qualities, the spring has been called as the “beauty hot spring”. Uzushio hot spring has one of the highest contents in Japan of hydrogen carbonate ion, which composes such beautifying effects. 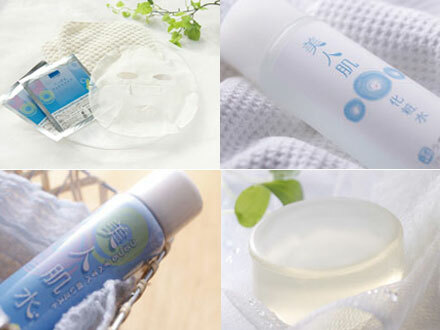 The original cosmetics are made with such quality water from the beauty hot spring. 1 hour and 10 minutes at Awaji traffic Fukura bound bus from JR Kobe Line Maiko Station.